The General Motors victim compensation fund approved four death claims last week, bringing the total number of confirmed fatalities linked to faulty ignition switches to 42 – officially tripling the number of deaths GM initially linked to the issue. The Detroit News reports that the approved death claims, along with seven approved injury claims, makes last week the busiest for the fund since its first weeks of existence in August. Compensation fund adviser Kenneth Feinberg says in his weekly report that 100 claims for compensation have now been approved – 42 for deaths and 58 for injuries. Advisors for the plan have made 57 offers to victims and paid out 22 offers, the Detroit News reports. So far, the victim compensation plan, which began accepting claims on August 1, has received 2,326 claims for injuries and deaths, 62 of which were submitted just last week. According to the weekly report submitted by Feinberg, the number of death claims submitted increased by 11 from 239 to 250 claims, while those for serious injury increased by six from 150 to 156 claims. The remaining submissions were for less serious injuries. Of the submitted claims 306 have been rejected, including 46 death claims. Another 568 – including 83 death claims – have been ruled deficient, while another 907 don’t have verifying information. According to Feinberg only two of the initial 13 deaths linked by GM to the ignition issue have yet to seek compensation. However, he says they are expected to file. Of course, some of those 13 victims’ families did not know they were included among the acknowledged fatalities until after finding out from reporters. Back in November, Feinberg caved to pressure from advocates and Congress and agreed to extend the claim submission cutoff to January 31, one month longer than the initial deadline of December 31. At the time of that announcement, Feinberg said GM would send out additional notices to 850,000 vehicle owners. Officials with GM previously said they expect to spend $400 million on claims, but that the figure could rise as high as $600 million. When the fund was launched over the summer, GM said there would be no cap to the claims, but that compensation would be tied to the level of injury and loss experienced. An approved death claim is expected to result in an offer of compensation for at least $1 million, plus payments of $300,000 to surviving family members. Consumers who suffered life-altering injuries could receive even more when the cost of lifetime medical care, lost earnings power and other factors are considered. The plan also addresses consumers who faced less-severe injuries. Those who were treated at a hospital or an outpatient medical facility within 48 hours of the accident are eligible for a claim. The formula for that claim is $20,000 for one night in the hospital; $70,000 for two to seven overnights, $170,000 for eight to 15 overnights, with a maximum of $500,000 for 32 or more overnights. Those treated on an outpatient basis could receive a maximum of $20,000. 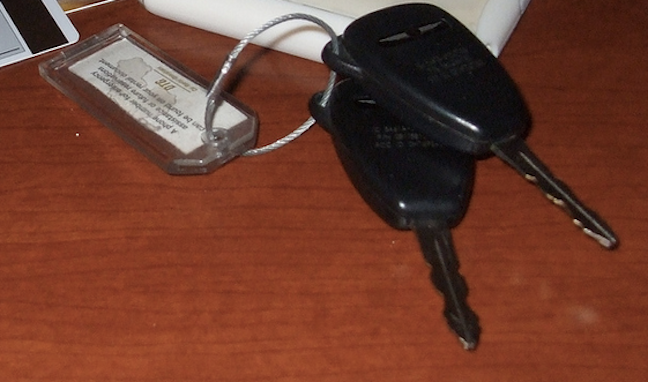 The claimants are not obligated to accept the compensation, but if they do take the money they give up their rights to pursue legal action against GM with regard to the ignition defect. The compensation program covers approximately 1.6 million model-year 2003-2007 recalled vehicles manufactured with an ignition switch defect and approximately 1 million model year 2008-2011 recalled vehicles that may have been repaired with a recalled ignition switch. Previous Why Does McDonald’s Have Such A Hard Time Wooing Millennials?